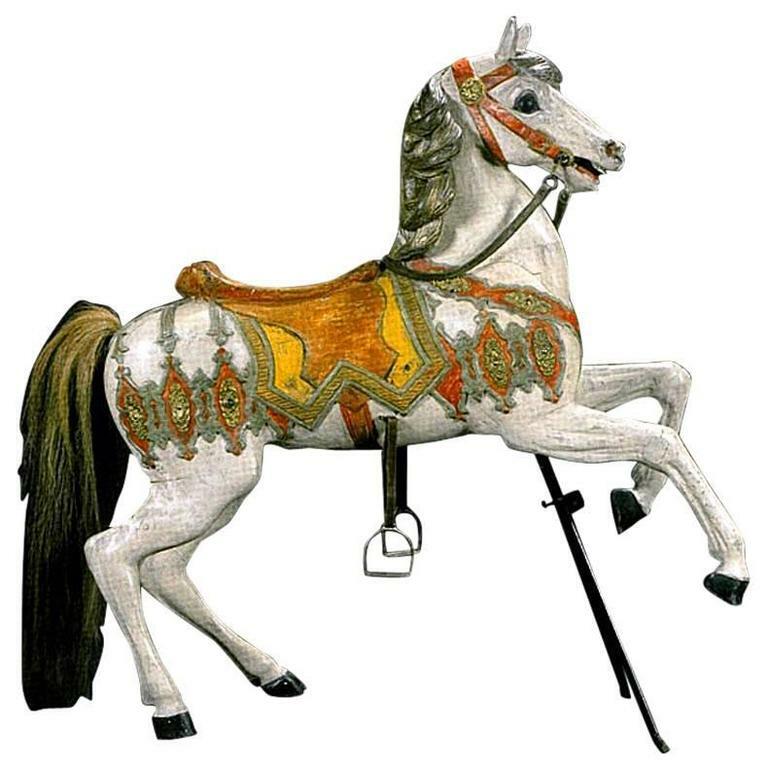 Carved Horse, Wood, Hand-Painted, 1910, Atelier Hübner & Poeppig, Germany. Sculpture Danish dog in hand-painted ceramic. Sculpture leopard all in hand painted porcelain with brass details on base. Standing just over five feet tall on a black mount, this hand-painted carved horse is quite unusual. Antique hand carved wood horse head on carved base. Possibly a fragment from a larger piece. Custom hand-carved wood shell sculpture. Fantastic hand-painted wood Santo. Hand-carved and hand painted. Great coloring. Excellent condition. Pair of Chinese hand-carved wood horses.